Sunder Architects have been commissioned to convert the site of an existing electrical depot to residential use. The site is in the middle of an extensive residential area, and the industrial nature of the current use detracts from the character of the area. Our proposal approaches the problem with sensitivity to the existing environment and the local character. 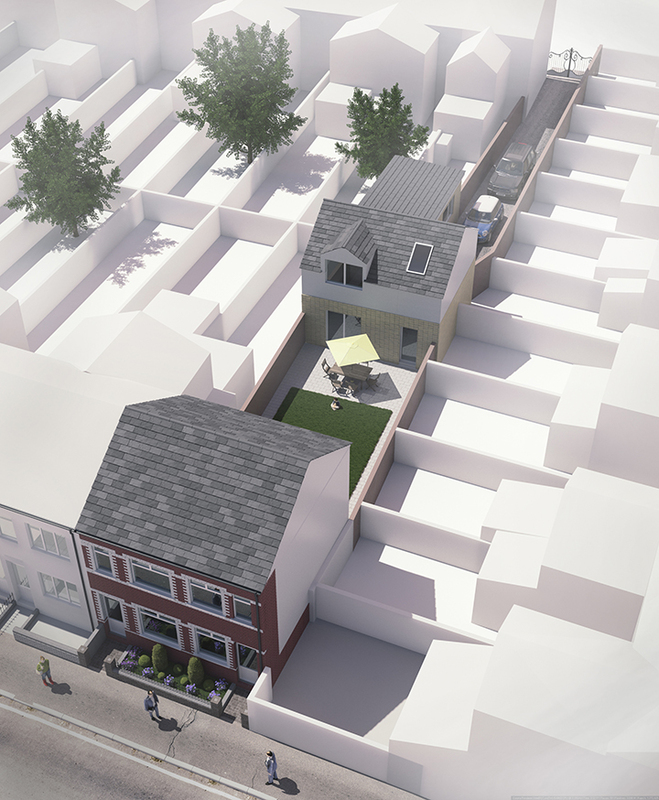 The site faces two main road, and we have taken advantage of that by extending the terrace facing one road, and by introducing a detached house on the other side of the site.